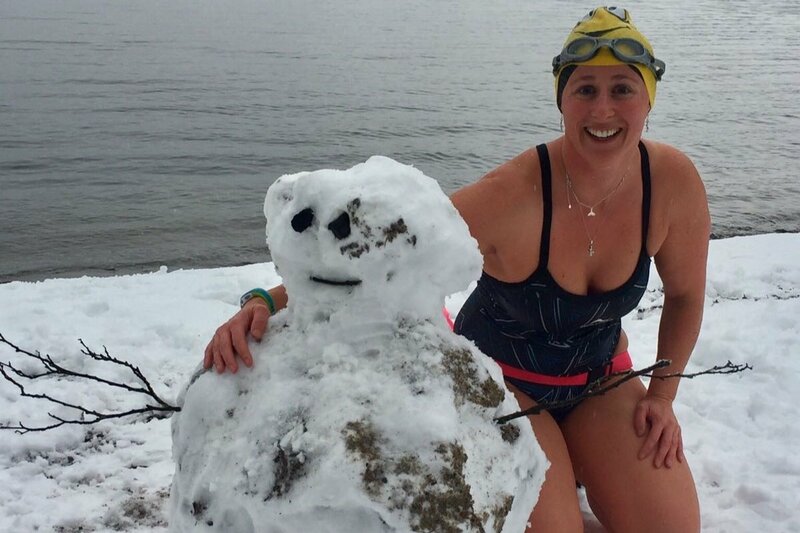 Hi I am Jade Perry, the current women’s British record holder for 1km Ice Swimming and I am looking for your support to help me represent Great Britain and be part of the ICE LIONS team, in the 1km swim at the World Ice Swimming Championships, this March in Russia. Ice swimming is one of the fastest growing sports in the UK, where people like me race inArticle from the Outdoor Swimmer magazine water temperatures below 5 degrees, in just a swimming costume, hat and goggles. In Russia, the event is at its most extreme, where the ‘pool’ is carved out of the ice with a chainsaw and the air temperature is likely to be minus 14 degrees Celsius, (or colder). The 0 degrees Celsius water will feel warm in comparison but still painful, causing your blood to protect the vital organs and making moving and breathing hard. I am hoping to raise the money to get me to Russia, so that I can compete alongside other Brits against top Ice swimming nations including Germany and Russia at the chance of winning the 1km and the Arctic Cup. I know it is short notice with only 8 short weeks to go, but qualifying was on 6th January at the British Championships. Any help you can give would be greatly appreciated to help me achieve this once in a lifetime opportunity to represent Great Britain. Well everyone. Thank you so much for your support. Because of you I also attracted the interest of Mackies ice cream and chocolate who have sent me some bits I can send or to you to say thank you. If you send me a private message with your address. I'll post a little something to you.